I might be the odd one out among most posts, but yes currently I don’t have any animals living with me right now. Hold up, wait a minute, it’s not that i don’t like animals, I love them. They are really fun to be with. My mum has cats (i think throughout the years, we used to had 12 cats), and my sis has a fish, both me and sis used to own hamsters, and well, the one’s i had died and i still don’t know why. Got sick and crazy, and its sad really. I’m currently living with grandma, and its already great. Its been close to half a year. Having a pet around the house would be fun, but considering that there’s also responsibility, i choose to not have a pet. I think that there would be a time where i’ll have a pet to accompany during lonely ‘forever alone’ days in the future, but for now, I’d have to say, that I’m satisfied with having just to be taking care of myself and the people around me. 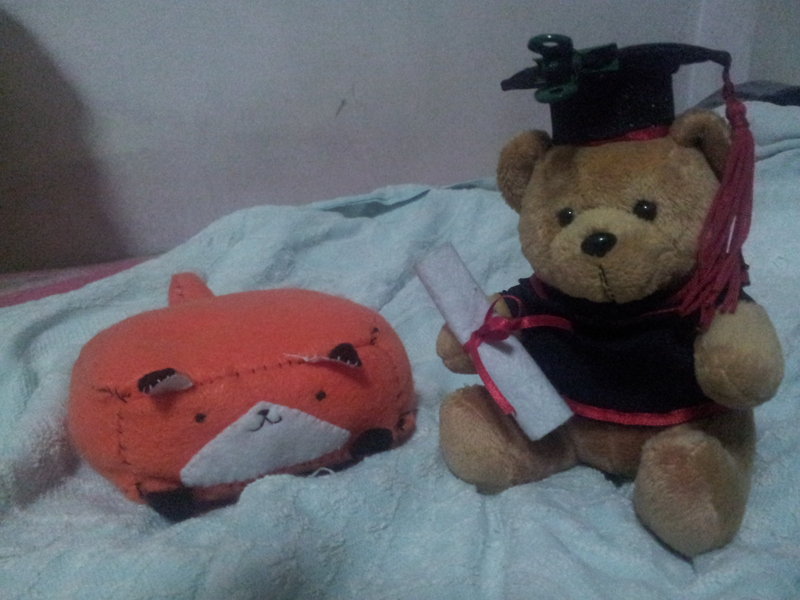 That being said, I guess Mr Foxy, and Mr Bear keeps me accompanied during nights like this. Menagerie – Today’s Daily Prompt | I solemnly swear i am upto no good! This entry was posted in Daily Prompts and tagged Animal, bear, blog, Cat, cute, daily prompts, fox, personal, Pet, postaday, postaday2013 by writinglikeastoner. Bookmark the permalink.